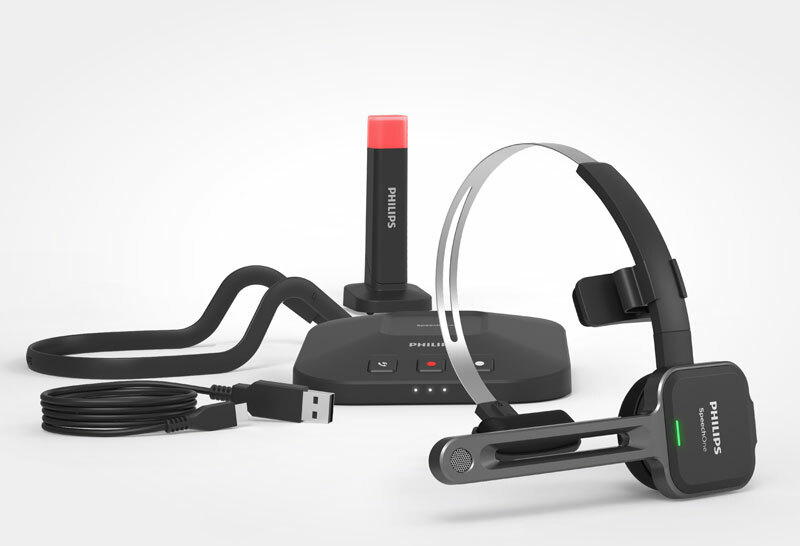 Philips SpeechOne wireless dictation headset is designed for time crunched power users who need the advances in dictation and speech recognition to save time and money while creating documents. The wireless SpeechMike Premium Air by Philips bests their previous Air versions with the touch pad which replaces the roller-ball giving a longer life to the device and making it easier to clean. It is also features the ability to sync with multiple docking stations in different rooms. It's long battery life ensures that it will be a pleasure to use. 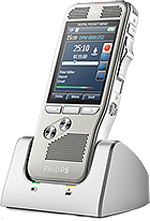 The corded SpeechMike Premium Touch by Philips bests their previous versions with its new touch pad that replaces the roller-ball for control and interaction. 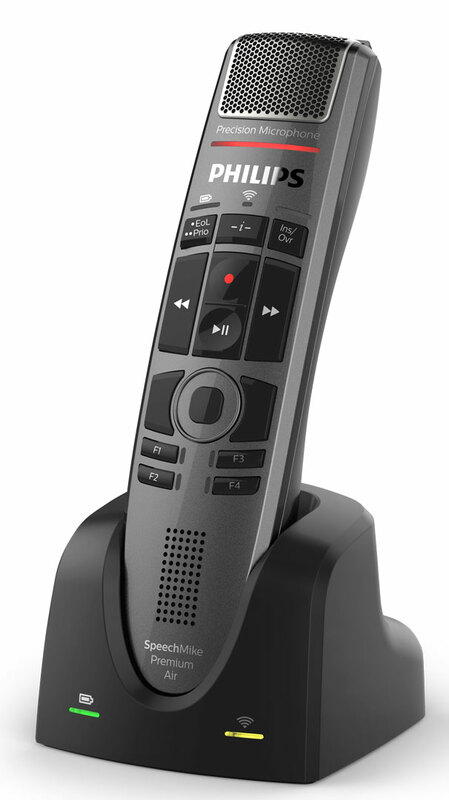 It comes with all the powerful features that previous Philips dictation microphones comes with which enable the user to worry less about interfacing with the computer and more about the tasks before them. The SpeechMike Premium Touch makes using a speech microphone a joy. 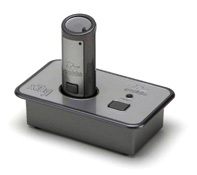 The corded SpeechMike Premium Touch with Barcode Scanner by Philips is every thing that the SMP-3700 is but with the powerful ability to scan barcodes for file and patient managment. 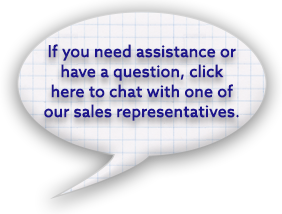 Designed to speed your workflow and save time entering information. Built for the human hand, both the push button and slider versions are easy to use. 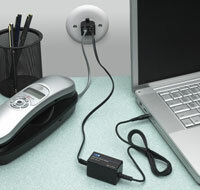 The corded SpeechMike Premium by Philips is the most professional dictation device, ever. It is loaded with features that enable the user to worry less about interfacing with the computer and more about the tasks before them. Built for the human hand, the SpeechMike Premium is a pleausre to use. 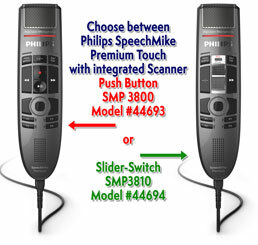 The corded SpeechMike Premium LFH3510 Slide-Switch by Philips is the most professional dictation device, ever. 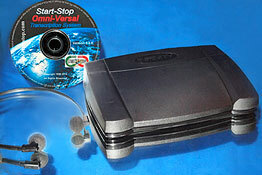 It is loaded with features that enable the user to worry less about interfacing with the computer and more about the tasks before them. 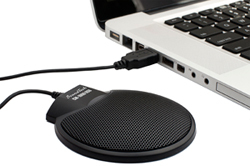 Built for the human hand, the SpeechMike Premium is a pleausre to use. 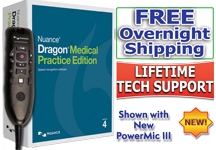 The SpeechMike Premium has received the HIGHEST Possible rating from the makers of Dragon NaturallySpeaking and Dragon Medical. This corded SpeechMike by Philips improves on the the excellent lineage of SpeechMikes by creating a more-ergonomic design with antimicrobial housing. The chassis was also beefed up making this this strongest, most durable SpeechMike, yet. Available with push-button or slide-switch main controls. 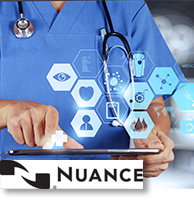 The new Nuance PowerMic™ III by Nuance is designed for productivity, ease-of-use, and complete integration for use with Dragon speech-recognition. USB plug-and-play connection, 9 Foot Cord or 3 Foot Cord options. 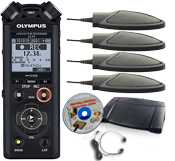 The Olympus RecMic II features the latest in desktop dictation. 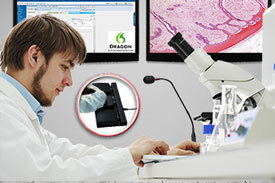 Perfect for doctors and medical professionals It is easy to integrate into IT infrastructures where EHR/PACS is a must. 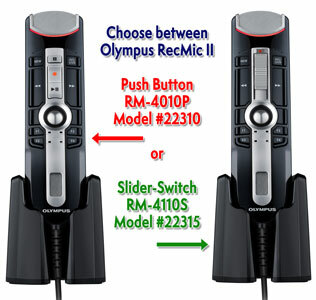 Choose between the push button model or the classic slider-switch model. 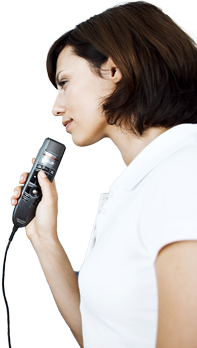 The Olympus DR-2300 is designed to enable easy integration in any work environment – no matter if in a doctor or lawyer practice. With four designated programmable buttons on the front, as well as the one on the back, the device can be fully customized, enabling complete systems integration. 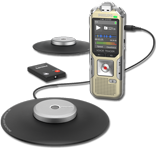 Plug it into any desktop PC/Mac or Laptop with USB and your got your self a quick and easy omnidirectional mic for conference recording. Comes with 5 foot cord and you can daisy chain multiple mikes. 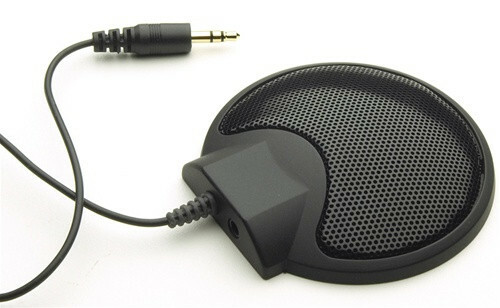 Plug it into any desktop PC or Laptop with a 3.5mm microphone jack and your got your self a quick and easy omnidirectional mic for conference recording. The GN-3 and GN-USB microphones are strong and accurate, plus they take up very little desk space. 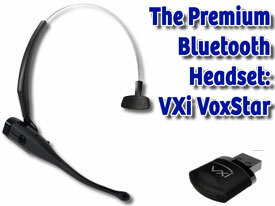 Both feature an 18" flexible neck and sturdy weighted base. 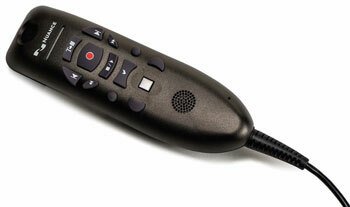 These are the professional's desktop dictation microphone.